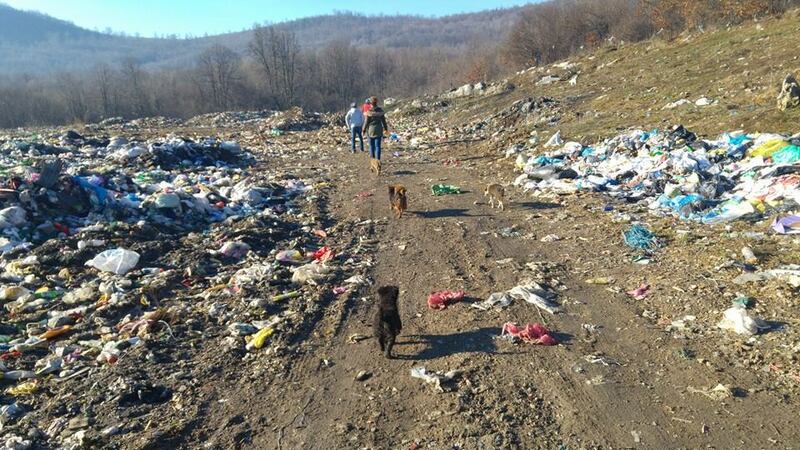 Many of you read the recent post about the terrible massacre of dogs at the landfill site in Cazin in north west Bosnia Herzegovina. On the 28th rescuers from Sarajevo drove the 300 km to try to rescue the survivors. 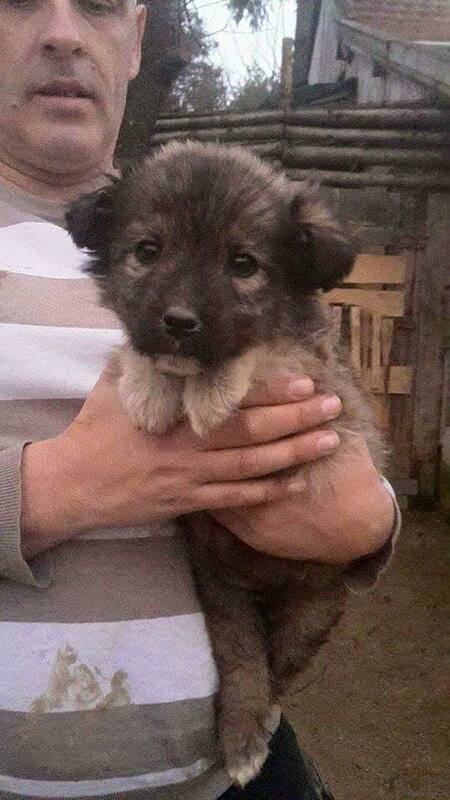 17 dogs were rescued, fourteen of these were puppies whose mothers had been killed. 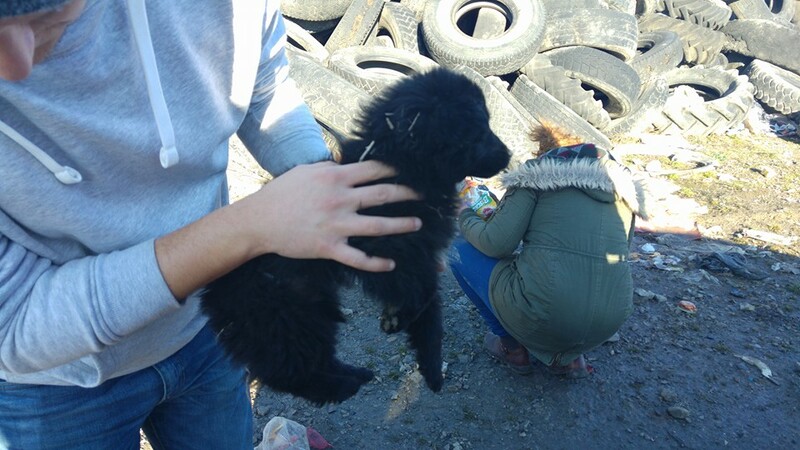 The puppies were found wandering around the corpses, desperate for food… one puppy was badly injured, and one of the adults, both from shot wounds. 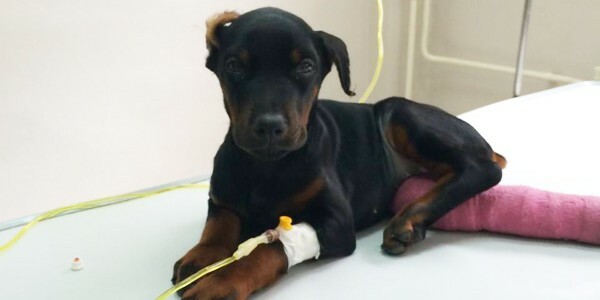 One of the bigger dogs rescued had survived a bullet… She was rushed to the vet. And this is little Tyson, shot in the hind leg. He is still in the vet clinic. It is a shocking truth that hunters take pleasure in hurting these defenceless dogs who do no harm to anyone, living as they do on the landfill site. And a shocking truth that this goes on all over Bosnia. 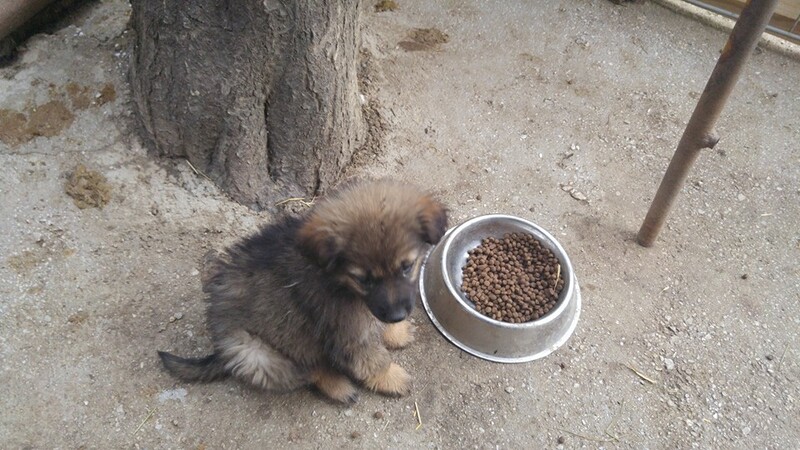 Thanks to generous donations many of the puppies have sponsors, and the Harmony Fund has donated towards vet costs. 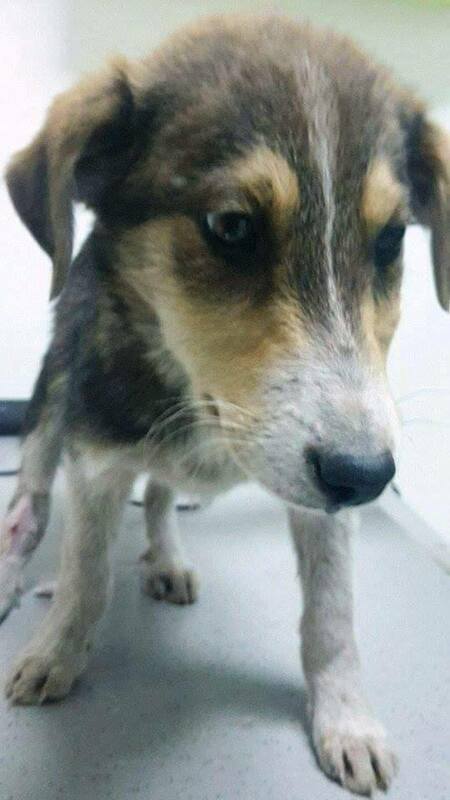 Four puppies have been diagnosed with canine parvovirus which is a devastating illness, but hopefully it has been caught soon enough and not spread to the others. Funds will be needed still, as time goes on and details on how to help are below. 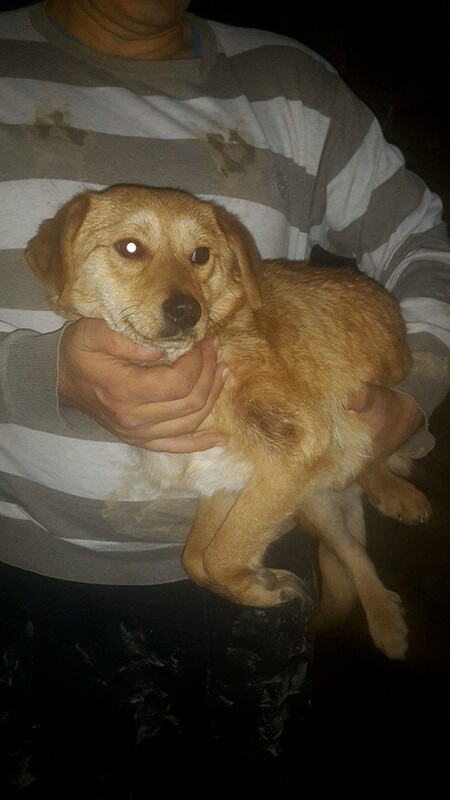 If you wish to help with ongoing costs of the rescued animals please send donations via Paypal to donations@awabosnia.org but be sure to mark your donation as ‘Cazin dogs’. 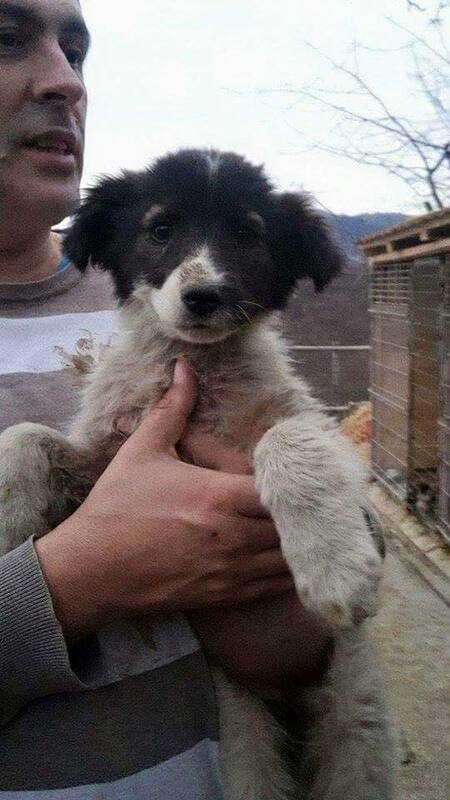 Any saved dogs will stay in Sarajevo until homes are found for them in the UK or Europe. These homes will be thoroughly checked. 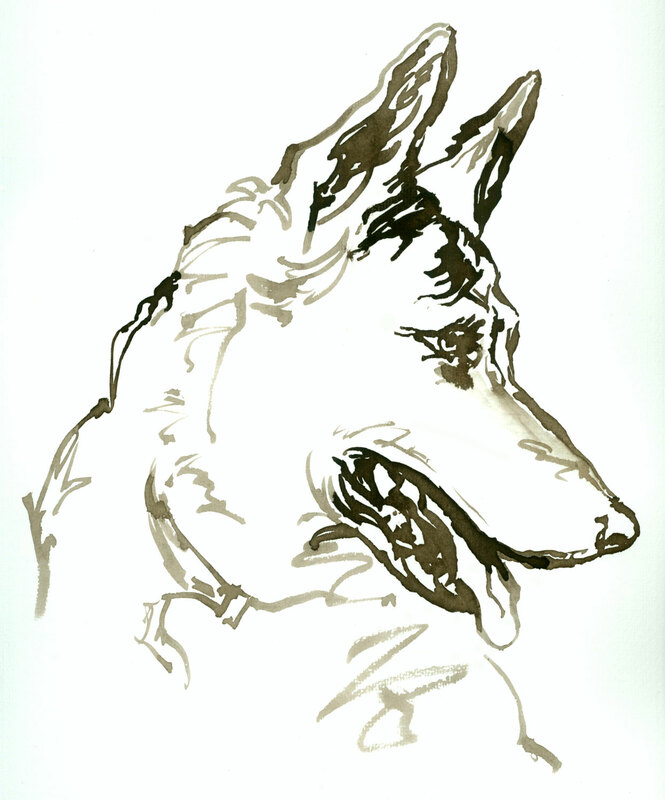 Over 250 dogs and cats have been homed with the help of AWABosnia and Help for Furries. If you think you can help with offering a home please send an email to info@awabosnia.org. Also please do share this post far and wide, thank you! 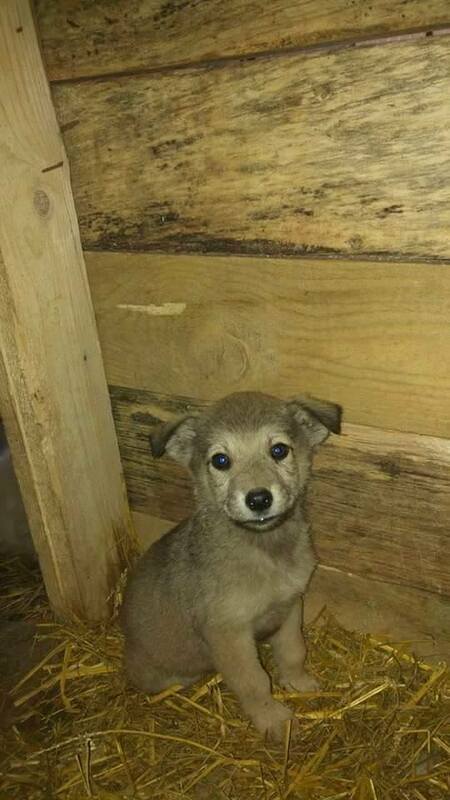 This entry was posted in Dog abuse, Dogs needing home, Fundraising, Urgent - dogs needing help and tagged Bosnia, BOSNIA AND HERZEGOVINA, Bosnia-Herzegovina, Cazin, dog killing by Sandra Jensen. Bookmark the permalink. So great to hear this news! thank you so much. Such a miracle really that Hanny has such a life! She has a perfect life with him and has lots of friends on their walks together. She’s actually become something of a celebrity where they live as everybody knows her and about her story. I wish there was somewhere I could send some photos of her to so everyone could see how happy she is.